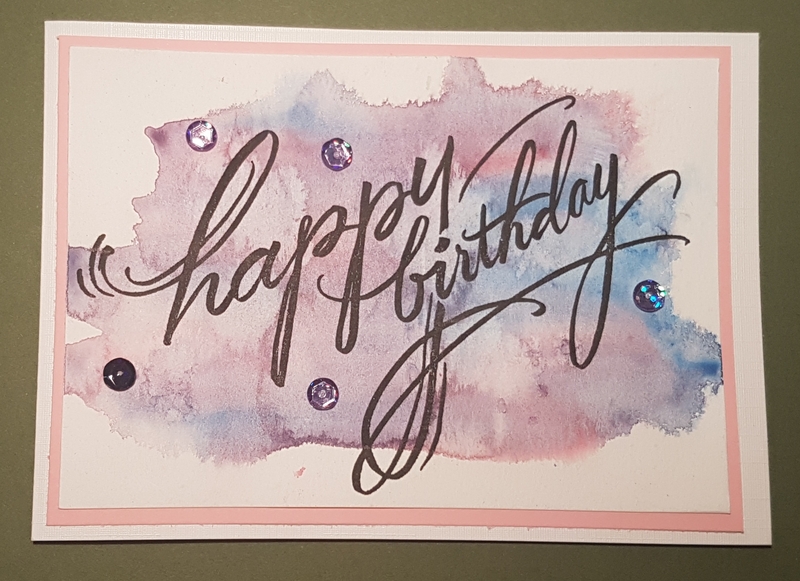 I’ve four cards to share that I made when playing with watercolours a few days ago. (Oh how I wish I was still doing this now and not back at work!). I made four panels and added watercolours to them ensuring I chose colours that wouldn’t make mud if they mixed and then added salt flakes on the top for them to dry. This added some interesting variation to the patterns on the finished pieces. 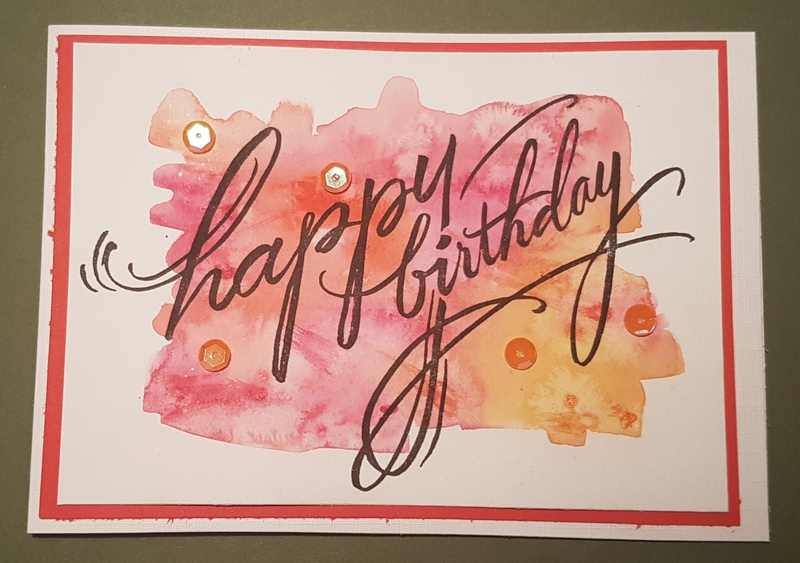 Once they were dry I stamped a large sentiment from the stash (stampendous) in versafine using the stamp platform so I could make sure they stamped perfectly. Love how fun these were to make and love how easy they were too. 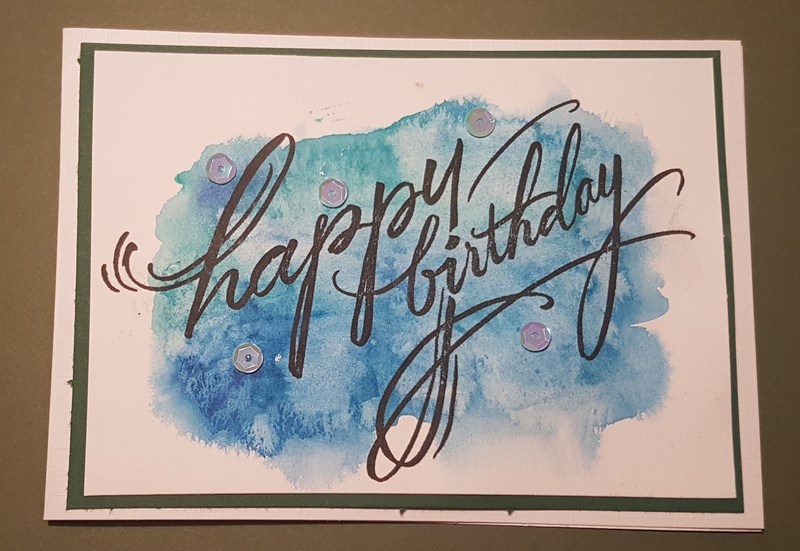 Simple cards full of fun! So many beautiful cards. Wonderful watercolor background. Sentiment fits perfectly with this card. 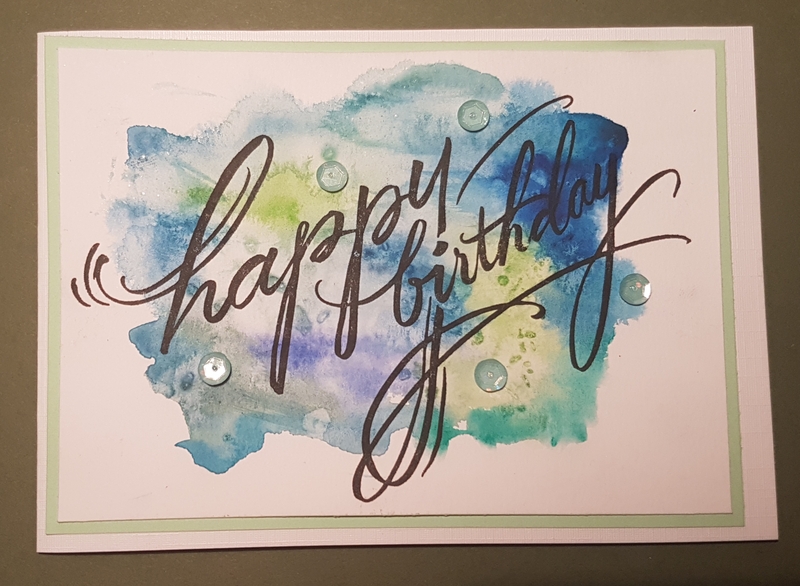 Thank you for joining the challenge at Happy Little Watercolor Stampers. These look lovely, thank you for sharing. What type of salt did you use? Thanks. I used rock salt flakes.